Our group of ten French, British, and Australian tourists dived off Black Island. We had very good instructors from Turkey and Belgium. 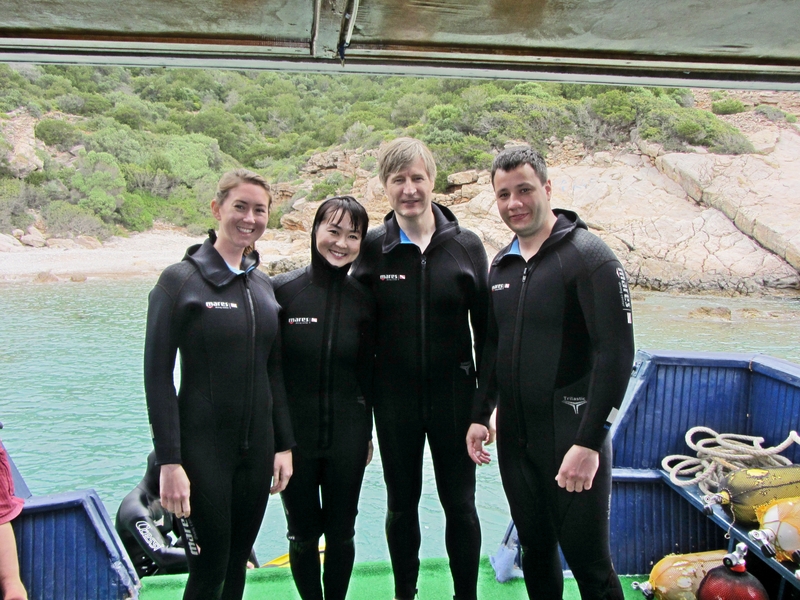 Some in the group were experienced divers and four of us had never dived before. 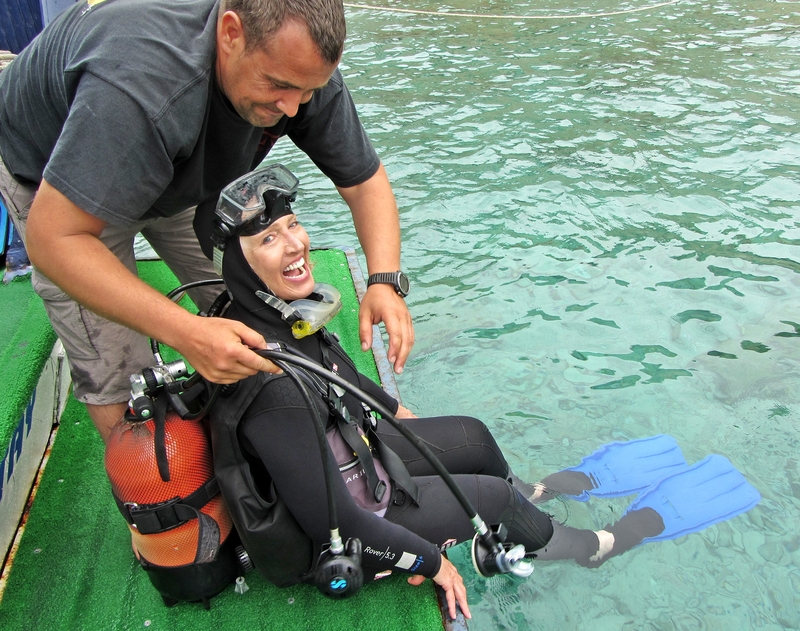 Enjoyed the dive so much I plan to get a formal certification which requires two more days of study and diving. Since there isn’t enough time to do that here in Bodrum I will check into it in Greece. With a wet suit the water was not cold at all, but I didn’t go as deep as some of the other divers. Black Island is the largest close-in island – about 3 miles off Bodrum’s coast. It’s called “the savior of Bodrum” because it works as a “gigantic breakwater” protecting Bodrum from waves and dangerous storms. It’s a popular stopover for touring boats. The island is famous for its healing mineral springs and the mud from its cave. The mud is good for the skin and it’s claimed that Cleopatra, the Queen of Egypt, used Black Island’s mud to maintain her beauty. After a mud mask, you soak in the hot mineral springs, and then dive into the cool Aegean. 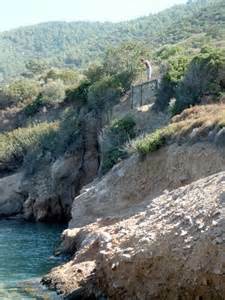 We dived on the back side of the island where there are many beautiful coves and beaches. The rocky coast was very clean and the water crystal clear. There were tons of colorful fish. The more experienced divers went deeper and saw the remains of an old airplane crash. This entry was posted in Turkey and tagged Agean Sea, Black Island, Bodrum by suemtravels. Bookmark the permalink.